This home page ties together sections of this web site that contribute to a profound understanding of the earth and our relation to one another and all other biological species to which we are related. 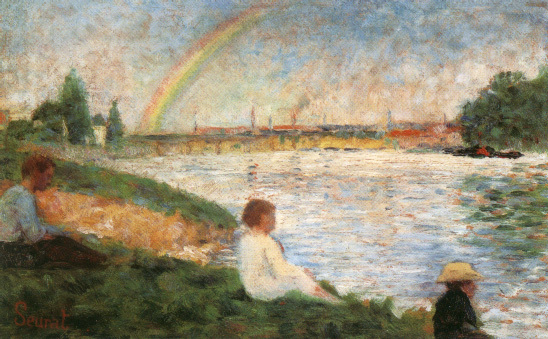 The Rainbow, is a painting by Georges Seurat of a river bend in Asnières from 1883 captures the momentary quality of an arched rainbow and the apparent permanence of the landscape and both of a riverside's natural and industrial settings. People are in the foreground suggesting the immensity of the background's organic and mechanized features. The Darwinian perspective in the sciences and humanities revolutionized the way people conceived of society and nature. The world makes little sense without grasping our shared conditions are the product of a common ancestry. As the person who conceived of quarks, he has since tried to unify physics and biology with the concept of sciences based on emergent properties and organic complexity derived from the quantum mechanics. Microbiologist and genetic research scientist she changed the way taxonomy or the ordering of biological species was described. She also revealed the singular and ongoing importance of bacteria to nurturing life on earth. Physicist and systems theorist says that "The cyclical nature of ecological unity of science processes is an important principle. 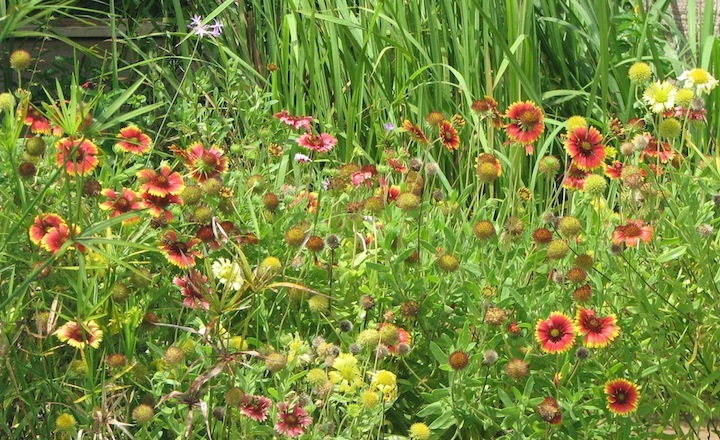 The ecosystem's feedback loops are the pathways along which nutrients are continually recycled." "The lesson for human communities here is obvious." Wildlife biologist and applied zoologist whose systematic look at the populations of particular biomes and communities transformed his imagination, habits, views, ethical stance, and advocacy for sensible protection of nature. He says you can see how much sunlight reaches the surface of the Earth resembles, of all things a single cell.